Show your love of goblins with art by fan-favorite artist Wayne Reynolds from the first adventure of the Rise of the Runelords Adventure Path, "Burnt Offerings!" Black 100% cotton t-shirt. Anyone who puts in the time can be a gaming nerd, but not everyone can dress like one! I picked up the awkwardly titled Pathfinder Adventure Path "Burnt Offerings" T-Shirt for two reasons: first, it has the iconic scene of goblins attacking Sandpoint from the cover of the first chapter of the Rise of the Runelords AP that I'm currently running; and second, I can use it for a free re-roll during Pathfinder Society games (which I usually end up wasting on stupid stuff, but that's another story). I'm not really sure how to review a t-shirt, other than to say that it looks like it does in the picture, it's held up well to several wearings and washings, and is your classic 100% cotton "Fruit of the Loom" shirt. Buy it, and we can be twins! 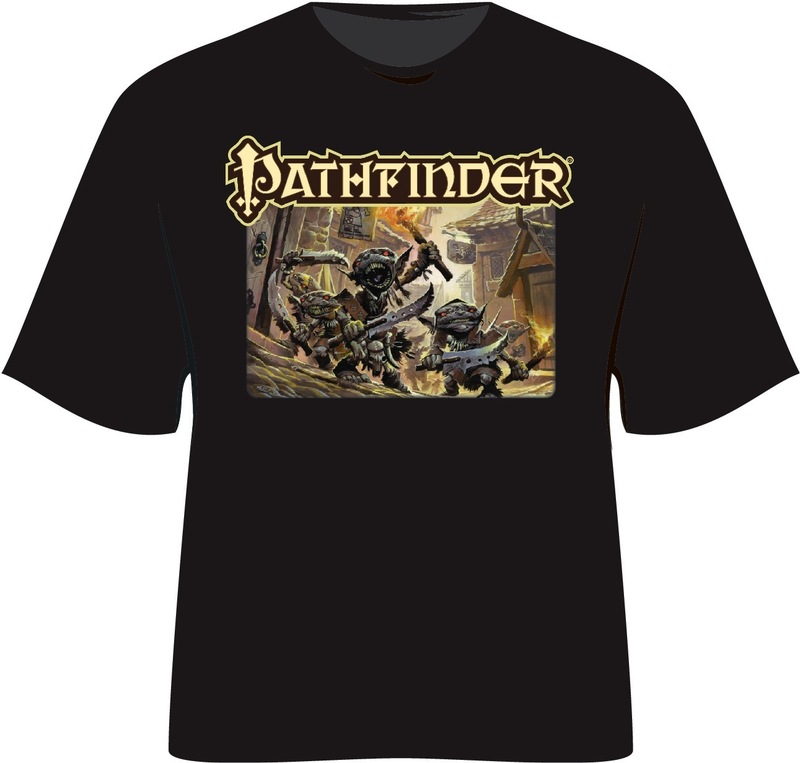 Sign in to start a discussion about Pathfinder Adventure Path "Burnt Offerings" T-Shirt!